All Hail the Coaster Queen. 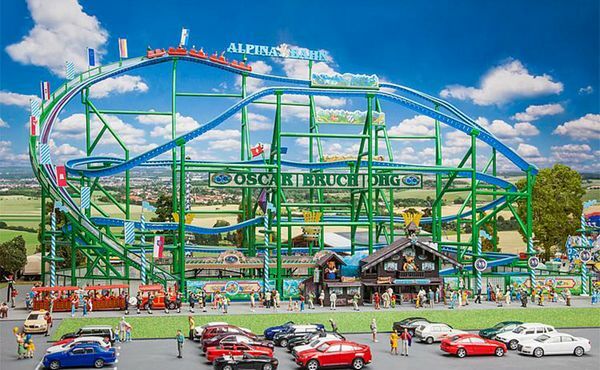 Functioning model of the transportable steel Alpina-Bahn roller coaster of fairground undertaking family Oscar Bruch. All Hail the Coaster Queen. 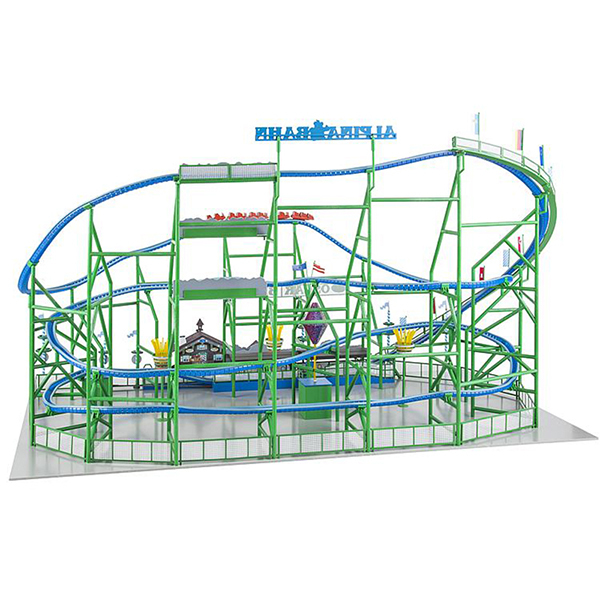 Functioning model of the transportable steel »Alpina-Bahn« roller coaster of fairground undertaking family Oscar Bruch. Facades and decoration parts, the wooden paybox and miniature figures in regional Bavarian costumes reproduce the local atmosphere of Alpine refuges, which were imagined and realized by the creative team of Stuhr’s Workshop for Applied Advertising. 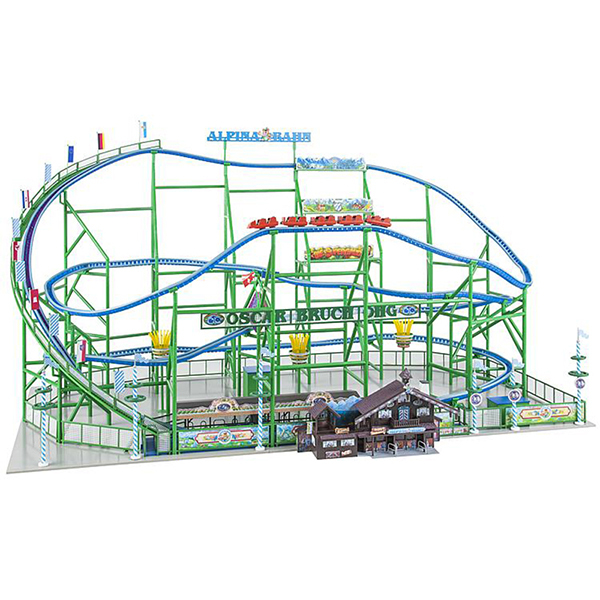 A driving motor ensuring the ascent up the lift hill and control electronics for the stop at the station are included in the kit. The circuit was shortened in comparison with the original: approx. 5500 mm.